Dynamics CRM 2016 release includes updates to all online services, including Microsoft Dynamics CRM 2016, Microsoft Dynamics CRM Online 2016, Microsoft Dynamics Marketing 2016, and Microsoft Social Engagement 2016. Below are some quick notes from the guide. Complete guide is available here. Microsoft Dynamics CRM is a major release that will be delivered to both online and on-premises customers. The online services – Microsoft Dynamics CRM Online 2016 Update, Microsoft Dynamics Marketing 2016 Update, and Microsoft Social Engagement 2016 Update – will be delivered as a customer driven update. Introducing capabilities like intelligent product suggestions (for up-sell / cross-sell) and recommended cases and knowledge to resolve customer service cases. Field service capabilities with the acquisition of FieldOne. Support for outbound and inbound SMS marketing. Maintain a database of opt-in and opt-out preferences of your marketing contacts. Send outgoing promotional SMS messages to opt in contacts for SMS. Tracking performance of your SMS campaigns. Enriching the email editor with features to generate HTML in your emails interactively. Excel Integration: To help increase productivity, Microsoft is providing the ability for salespeople to conduct analysis in Excel, directly within Microsoft Dynamics CRM. Document Generation: Building a beautiful document based on CRM data is now simplified with Document Generation. With one click users can easily generate a document from CRM using pre-defined Word and Excel templates. Authors can manage the pre-defined templates and using a wizard like flow build custom templates in Word or Excel. Document templates are role based by entity to ensure users have the proper content to meet their needs. Voice of the Customer: Dynamics CRM 2016 includes a new survey designer that to create and send out questionnaires to collect feedback from customers about your products or services. When a customer completes a survey, rules in Dynamics CRM can trigger follow-up actions that occur immediately. External Party Access: External Party Access is the foundation that allows external parties such as Employees, Customers and Partners to access CRM data with the right level of permissions. Out of the box integration is now available with any third party systems such as Azure HDInsights. In addition to Twitter, Facebook, Blogs (WordPress/Tumblr), Videos (YouTube) and News, you will now be able to search boards/forums and custom sources via RSS. Adding 14 additional languages: Arabic, Chinese, Danish, Dutch, Finnish, Greek, Hebrew, Japanese, Norwegian, Polish, Russian, Swedish, Thai and Turkish. Azure Machine Learning and insights integrated into the CRM user interface, removing the complexity of requiring data scientists or understanding ML models. Microsoft Dynamics Marketing uses Silverlight to deliver digital asset management capabilities, such as uploading, marking up, or annotating files. However, the Microsoft Edge browser and the version 45 release of Google Chrome (expected in September 2015) do not include support for Silverlight. Deprecation of support for Silverlight in these browsers will result in the loss of some digital asset management capabilities. Users can continue to access Silverlight components for digital asset management capabilities by using Internet Explorer 11, Firefox, and Safari, as these browsers still support Silverlight. Microsoft Dynamics Marketing 2015 Update 1 Product Documentation is Available! 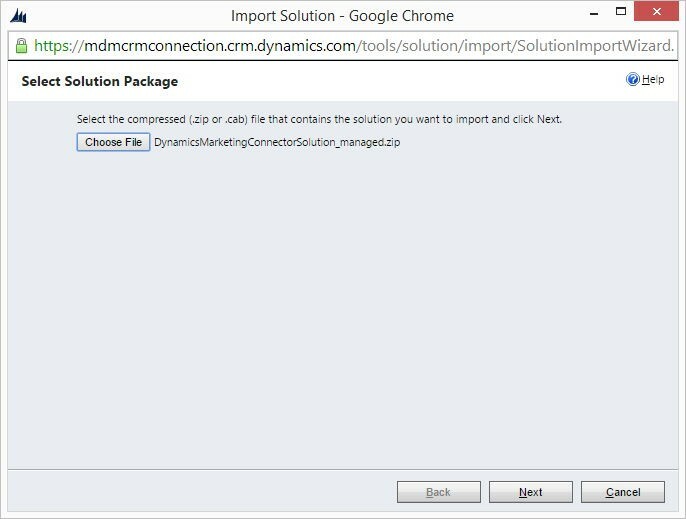 Separation of service bus namespace for SDK and Connector: You can now configure Microsoft Dynamics Marketing SDK and Microsoft Dynamics Marketing Connector for Microsoft Dynamics CRM with different service bus namespaces. Microsoft-owned queues for CRM Online integration: Microsoft Dynamics Marketing now provides managed service buses for CRM Online integration. You don’t need to have a Microsoft Azure account and service bus namespace for CRM Online integration. Double opt-in for email marketing: Send an opt-in link to incoming contacts to verify them. Double opt-in helps you to maintain lead quality and remain compliant with regional regulations. Duplicate detection in email messages: Configure your instance so that email messages are delivered only once per email inbox and avoid sending multiple emails to duplicate contact records. Assets & media improvements: Tag your assets using multiple keywords and use the improved keyword based search to filter them. Expanded Analytics with Odata, Excel and Power BI: Create beautiful, informative reports based on real-time data drawn directly from Dynamics Marketing. With this release, we continue to add expanded support for more OData feeds and Power BI features—both for stand-alone Excel workbooks and for PowerBI.com. The new Dynamics Marketing connector for Power BI delivers an all-new collection of dashboard widgets that enable you to embed specially targeted graphs and views based on your Dynamics Marketing data right on your PowerBI.com dashboard. Be informed, plan strategically, and show off your results. For more information about the update, see What’s New in Microsoft Dynamics Marketing. Marketing Setup & Administration – The portal for Dynamics Marketing administrators! 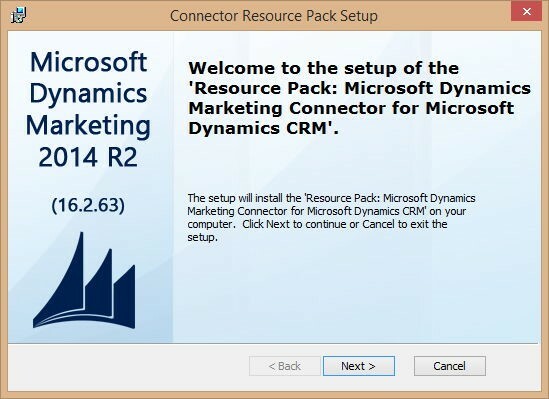 Marketing Developer Center– The resource for Dynamics Marketing developers. Marketing Help & Training – The place to find end user help and training. 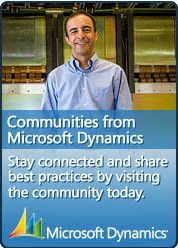 Community – Find answers to your questions in the Dynamics community. Support – Get support when you need it. Videos – See videos on new features on the Microsoft Dynamics Marketing YouTube channel. Marketing Developer Center – The portal for Dynamics Marketing Developers! Marketing Help & Training – The place to find end-user help and training. Videos, e-books, quick reference guides, walkthrough topics, and more. Stay tuned, and let us know in the blog comments what you think of the new content – and what you look forward to seeing in the future. Give feedback on the content. Purchase Microsoft Social Listening licenses and assign them to users as needed using your Microsoft Office 365 portal. 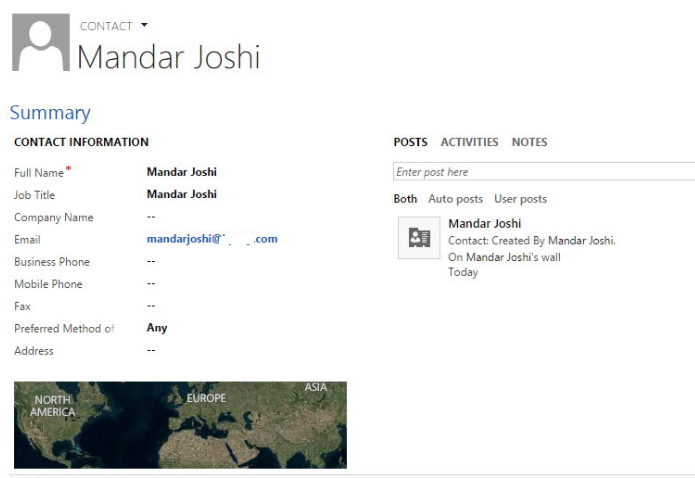 Sign in to Microsoft Dynamics Marketing and go to Settings > Administration > Social Listening Options. Mark the Enable Social Listening check box to turn on the feature. Enter the URL for your Social Listening instance in the Social Listening Server URL field. You’ll receive the link required here in an email when you sign up for Microsoft Social Listening. Configure the roles and privileges for the relevant users of Microsoft Dynamics Marketing to grant them access to Social Listening features. (Grant the View All Social Listening privilege.) For more information, see Work with user accounts and staff contacts. Fold down the Additional Admin Options section and choose the Social Listening User Management link to go to the user-management page for Social Listening. From there, configure roles for the same users in Social Listening. Choose the Social Listening Terms link to view the license/subscription agreement for Microsoft Social Listening and read it carefully. If you agree to its terms, then return here and mark the I agree… check box. Choose Submit to save your settings. As described in the previous procedure, go to the Social Listening Options page, fold down the Additional Admin Options section and choose the Social Listening User Management link under Configure User Roles. If the link works, then you have entered the correct URL for your Social Listening instance. Go to the Home page and try to add a Social Listening widget. You may be asked to sign into Social Listening. If you are able to sign in and the widget works, then your connection is fully operational. If you need to free up some Social Listening licenses, you might consider removing Social Listening access from some of your Microsoft Dynamics Marketing users. To do so, you must remove access privileges from the affected users in both Microsoft Dynamics Marketing and Social Listening and, finally, remove the licenses in your Microsoft Office 365 portal. You can now reassign the licenses. Microsoft have added two small, but important, new features to Dynamics Marketing. Create even more intelligent campaign automation with enhanced triggering logic: Your automated campaigns can now incorporate triggers that not only react to customer behavior, but also to the status of internal tasks in Dynamics Marketing. You can also design advanced triggering logic based on Boolean expressions and nested-trigger logic. Create enticing campaigns with new offer management, automation and tracking features: You can create time and/or inventory-limited offers, include links to them in marketing emails and track customer response to those offers through the campaign-automation canvas. Create Lync webinar events and include them in automated campaigns. Automated A/B testing helps identify the most effective email designs and schedules: With automated A/B testing, Dynamics Marketing starts with a small part of your intended recipient list and sends design A to half the sample and design B to the other half. The system then monitors the performance of each version and scores them based on your criteria. When the test period is up, Dynamics Marketing sends the winning version to the rest of your list. You are now able to construct even more detailed scoring models and to apply new types of logic. For example, you can now score a lead based on an “any” operator, as in “score this lead higher if she has attended any event.” And speaking of events, you can now score leads separately based on event registration, actual attendance and even attendance at individual sessions at an event. Other lead-tracking and -scoring improvements include: improved web-page tracking (better time-on-page measurements), ability to score by sales ratings reported by an integrated Microsoft Dynamics CRM solution, and the ability to score by values from certain custom fields, which you can enable on several entities. Overview all of your marketing activities with the new, graphical integrated-marketing calendar: Dynamics Marketing provides a Gantt-chart view of all of the marketing campaigns you are working on. You can expand any campaign to see the individual emails, landing pages, social media messages and events associated with that campaign. Create visual approval workflows with the new approval canvas: You can design more advanced workflow functionality that includes parallel approvers and/or advanced acceptance criteria. You design and review your approvals using a graphical drag-and-drop canvas that is similar to the campaign-automation canvas already available in Dynamics Marketing. Click to call any contact over Lync or Skype instantly. Monitor the social-media buzz about your brands and campaigns with Social Listening integration: With Microsoft Social Listening integration, you can enhance your marketing intelligence and correlate your marketing and branding initiatives with social-media activity. Add a wide variety of graphical widgets to your Dynamics Marketing home page to keep a daily eye on many aspects of social-media activity, or add similar widgets to individual campaigns and companies for a more specific focus. You are also able to configure and modify your Social Listening queries from inside Dynamics Marketing. Work more effectively with sales staff with the new seller-collaboration portal: Enable your salespeople using Microsoft Dynamics CRM to access the latest details about the progress of your marketing initiatives and automated campaigns. Ensure that when sales people talk to a given customer, they are fully aware of the latest offers and other marketing communication messages that the customer has received. Enriched data integration with Microsoft CRM: Dynamics Marketing administrators are now able to fine-tune the integration through expanded integration controls, including the ability to managing sync operations on a per-entity basis. New integration points include the ability to two-way sync tasks and campaigns. Keep your campaigns on-target with improved list management. With OData feeds, you can use the powerful data querying (PowerQuery, PowerPivot), spreadsheet, formatting and visualization features (PowerView, PowerMap and more) of Excel to work with data from Dynamics Marketing. 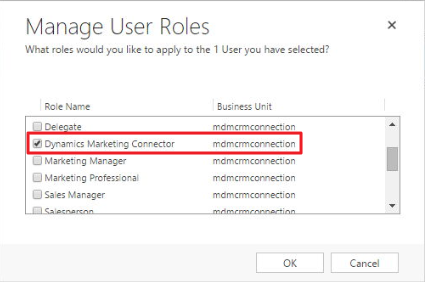 While trying to learn more about Microsoft Dynamics Marketing, the first question that pop-ed in my mind was how is MDM different from the Marketing module that Dynamics CRM used to have? 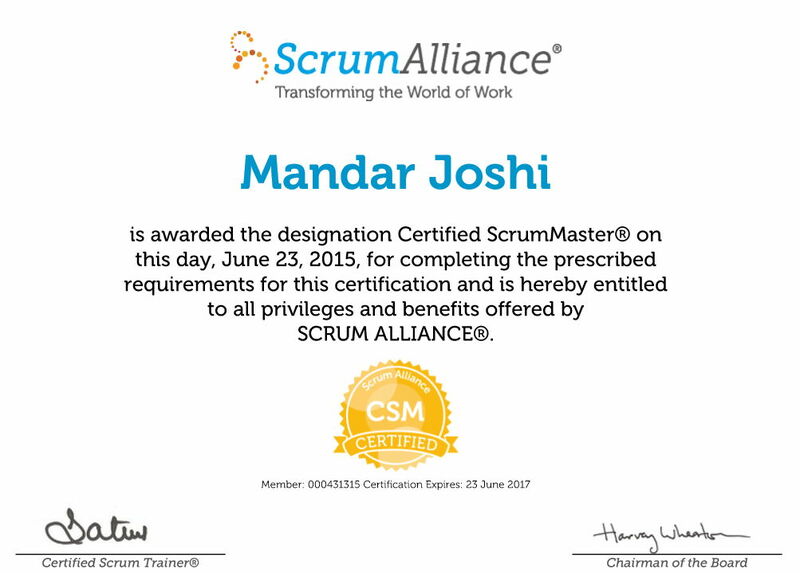 I started trying to understand MDM by comparing it with Marketing module of CRM and that was the first mistake I made. Marketing module in CRM has very limited features and entities as compared to MDM so again the question, how is MDM different from CRM functionally? While searching for the answer I came across below comparison which answered my question up to an extent and found it worth sharing. Power BI is a cloud-based service that works together with Excel to provide a complete self-service analytic solution. With both Excel to author reports and Power BI for Office 365 to share them, you can give everyone in your organization a powerful new way to work with data. 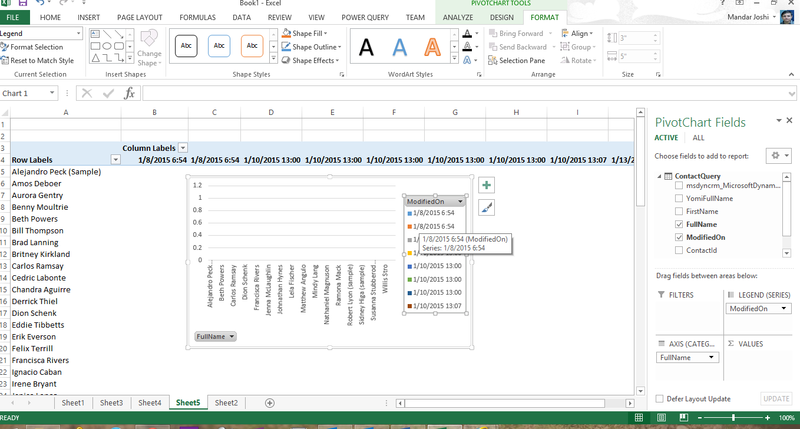 In Excel, you can now discover, combine, model, analyze, and visualize data like never before. With Power BI for Office 365 you can easily setup an online gallery for users to share insights, collaborate and access reports created in Excel, from anywhere on any device while asking questions in natural language to get live interactive answers through data visualizations. Self-service BI features in Excel 2013 make discovering and visualizing data easy. These four features – Power Query, Power Pivot, Power View, and Power Map – work seamlessly together. 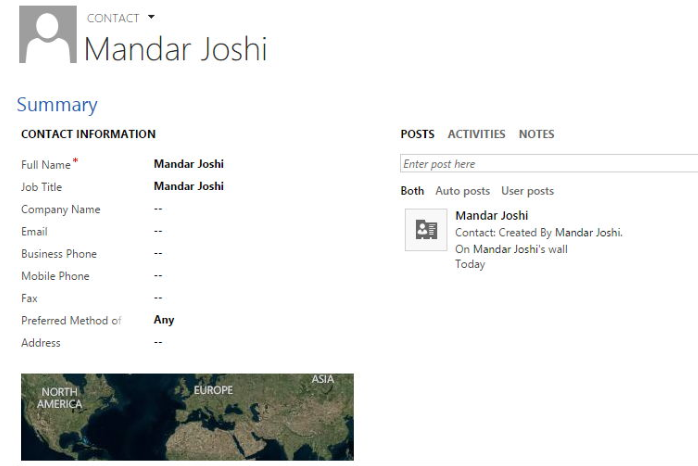 With Power Query, you can search the entire cloud for data, both public and private. Using multiple data sources, you can filter, shape, merge, and append that data using Power Query… without bringing any of it into Excel. You get a view into the data, shape it how you want, and can then send it directly to the Data Model in Power Pivot. And even then, you can create new calculations and fields in Power Pivot to get just the dataset you want. Power View uses the Data Model to bring that data to life. Create reports, then let others interact and drill into them, changing visualizations on the fly as they select report elements. 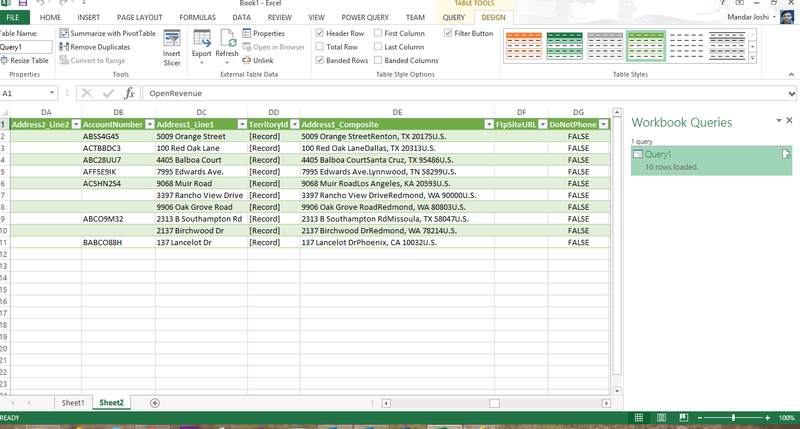 Power Query for Excel uses OData feeds to get the data from CRM using OData Organizational Data Services. Using this one can get all the data from CRM into Excel and use the power of Excel for analyzing data in depth. 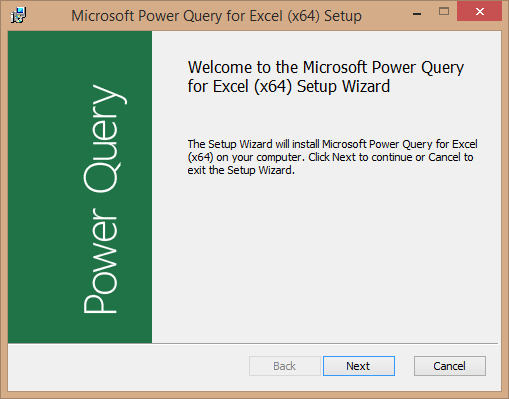 To start, one need to have Microsoft Power Query for Excel add-on installed. This can be download at below link. Navigate to your CRM organization and copy the Organizational Data Service URL from Setting > Customizations >Developer Resources. Open Excel and go to POWER QUERY tab and select From Other Sources button in Get External Data section. Here we have multiple data sources options to get data from to Excel like SharePoint, Azure, Web Search, Active Directory, Exchange, OData, etc. For connecting to CRM, we will use From Odata Feed. Go to Organizational account tab and select the OData URL to use. Click Sign in to connect to CRM instance. On successful sign in, click on save. This will open a query window where one can select the CRM table which you want to query data and apply different filters. The filtered query can be saved for future use and the data returned will be displayed in Excel worksheet. Once the data is in excel, your open to use all Excel features to work with the data outside CRM and build the report as you wish with few clicks. Other sources that Power BI supports for getting data into Excel with few configurations are Web (search), File (Excel, CSV, XML, Text, Folder), Database (SQL Server, Access, SQL Server Analysis Services, Oracle, IBM DB2, MySql, PostgreSQL, Sybase, Teradata), Azure, SharePoint, OData Feed, Hadoop File, Active Directory, Microsoft Exchange, Facebook, SAP BusinessObject BI Universe, Salesforce Objects, Salesforce Reports, ODBC. Whether you’re a corporate marketing team or an advertising agency, Microsoft Dynamics Marketing delivers powerful, integrated marketing management solutions that can help you better understand your customers. With Microsoft Dynamics Marketing you’ll get exceptional insight, control over budgets and resources, and be able to create automated, measurable multi-channel campaigns to deliver tangible results. Microsoft Dynamics Marketing is good for marketing related activities and generating Leads while on other hand Microsoft Dynamics CRM is great for working the all sort of marketing data weather it a sales (Lead-to-Opportunity), service (activity to incident) life cycle. Connects MDM and CRM thereby allowing marketing data to be synchronized between these two applications. Leverages a managed solution for CRM which customizes a CRM organization to support the connector. Select the required components from the list and download to local drive. 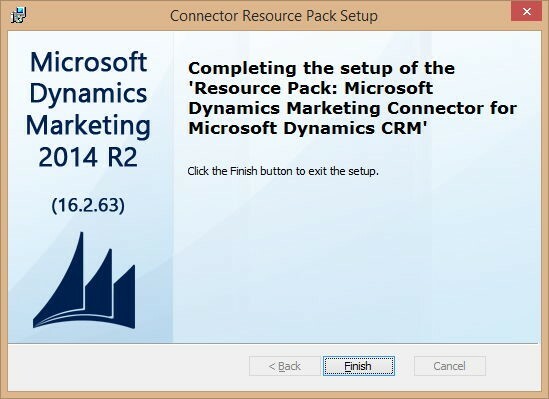 Navigate to where you downloaded the files, double click the file “Microsoft Dynamics Marketing 17.0.3711 – CRM Connector.msi” (In my case as I’m using CRM 2015) and Install. Read and accept the term and conditions and click next. If required Browse to a new location for the installation files and click Next. Wait for the extraction to get completed. 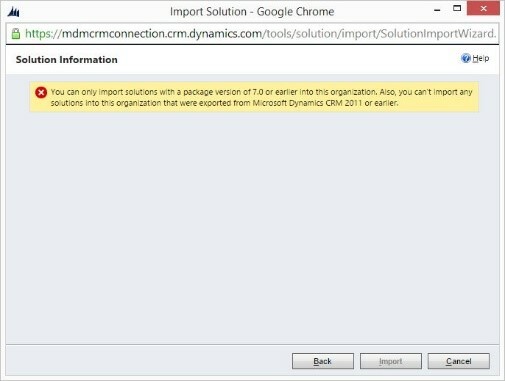 Note: You may get below error while importing the solution if CRM 2011/2013 connector solution is selected for CRM 2015 environment. 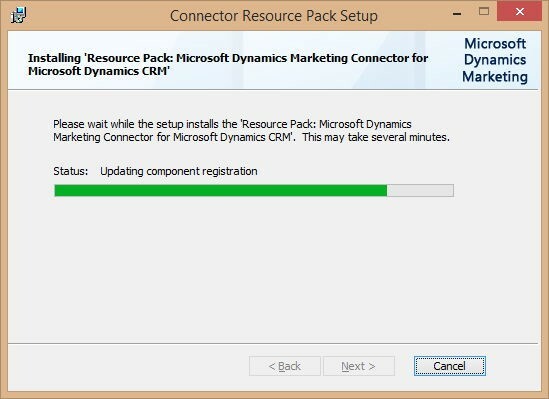 Important: After the “Dynamics Marketing Connector for Dynamics CRM” solution is installed in your CRM, you must create/update a ‘connector user’ in CRM. This user must be assigned the “Dynamics Marketing Connector” security role. 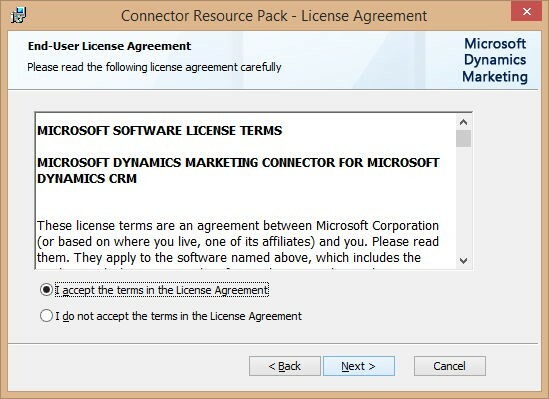 The “Dynamics Marketing Connector” security role is created when the Dynamics Marketing solution is installed in Dynamics CRM. MDM connector can only be configured when Integration Services are enabled for your MDM environment. These services are only deployed in your MDM instance by Microsoft upon request. Blue checkmark indicates that integration services are enabled. Red checkmark indicates that Integration Services are not been deployed yet for your MDM instance. Note: Follow Appendix “How to configure Integration Services for Microsoft Dynamics Marketing for Office 365 admin portal” for steps to request Microsoft Support for the configuration. To facilitate access to CRM from MDM via the Connector Service you must define a CRM Endpoint in MDM. The account you enter for the endpoint is used by the “Integration services” to create and change entities in the CRM system. In MDM, navigate to Home -> Settings -> Integration Options to open the “Integration Settings” page. 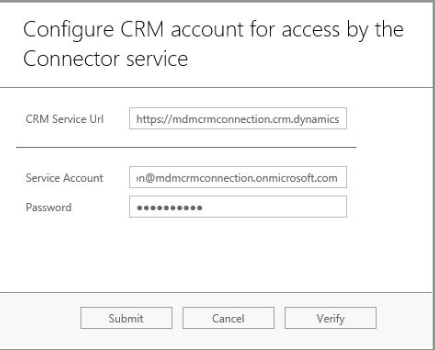 In the “CRM Endpoint” section, click the Configuration button to open the “Configure CRM Account for Access by the Connector Service” dialog. Note: The “Configure CRM Account for Access by the Connector Service” is a model dialog and not supported by Chrome 37 and higher version. Tri using IE browser if configuration button does not respond on Chrome browser. Provide the URL for your CRM Service and the credentials of your Connector account. You can click Verify to test that the credentials you have entered are valid. Click Submit to save and close. Verify if MDM and CRM Listener services are enabled for your MDM instance on same settings page under Services Section. 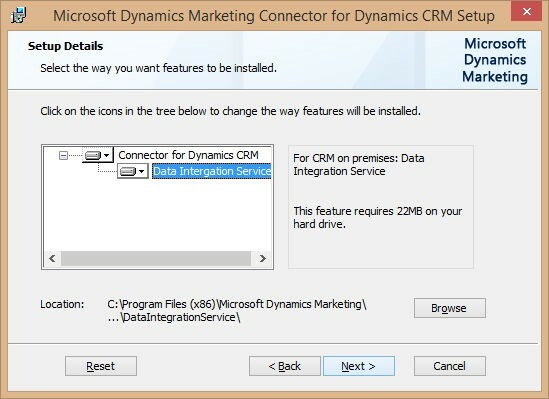 If these services are disabled, click on first highlighted arrow from left to enable MDM Listener, MDM Publisher and CRM Listener. The second arrow is to enable SDK Service. On clicking Ok, the services will be enabled for configuration. In the “Service Bus” section click the Configuration button to open the “Configure Windows Azure for Microsoft Dynamics Marketing” dialog. Note: Please see Appendix “Configure an Azure namespace to serve as the transportation channel” if you don’t have a preconfigured Azure namespace with ACS. Click Configure Azure ACS to open the “Provide Credentials for configuring the Azure Service Bus” dialog. In the “Provide Credentials for configuring the Azure Service Bus” dialog you must provide a number of administrative credentials in order to setup the secured trust relationship between the integration service and your CRM system through your Azure service bus. None of these administrative credentials will be ever stored. They will be used for an automated configuration, which eases the configuration immensely. Type or paste the Azure Management key in the “Management Key” field. 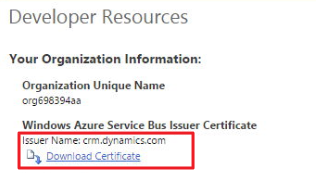 Enter the CRM Certificate issuer name in the “Dynamics CRM certificate issuer name” field. You can find the issuer name from your CRM Online system under Settings –> Customizations –>Developer Resources. Download the certificate file from CRM (see screenshot above) and Upload the certificate file in the third field on the Azure service bus configuration dialog. Enter the credentials of an administrative account of your CRM system. 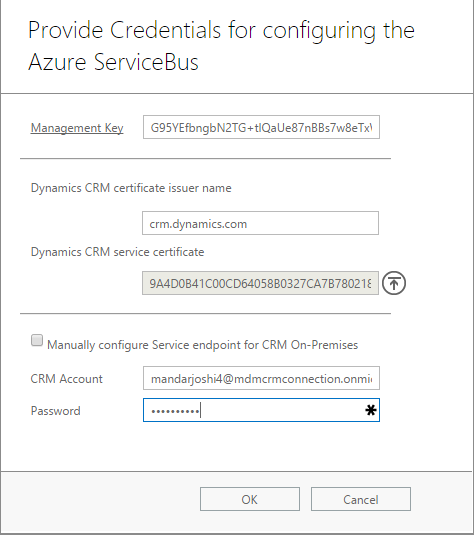 Click OK to save and close the “Provide Credentials for configuring the Azure Service Bus” dialog and return to the “Configure Windows Azure for Microsoft Dynamics Marketing” dialog. 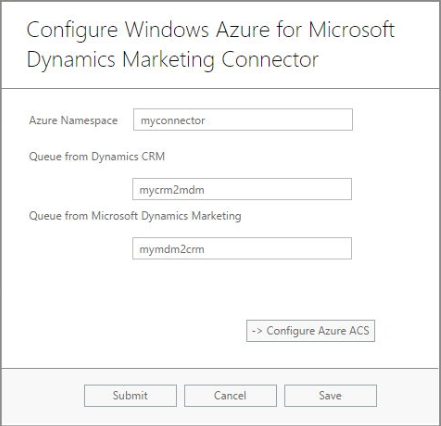 Click Submit to save and close the “Configure Windows Azure for Microsoft Dynamics Marketing” dialog. “CRM Listener” – listens for messages that indicate a change needs to be processed in CRM. This role retrieves the messages from the Azure Service Bus queue and then executes a request against the CRM Organization Service to complete the change. The final step for your configuration is the initial synchronization. On the “Settings” page, scroll down to the “Initial Synchronization” section and click the arrow button and select Yes. Wait until this step has completed. You might need to refresh the “Settings” page a few times until the step is marked as complete. Create a new Marketing Contact in MDM by navigating to Marketing Execution à Marketing Contact. Save the contact and switch to CRM. Navigate to Sales à Contacts and search for the newly created record. 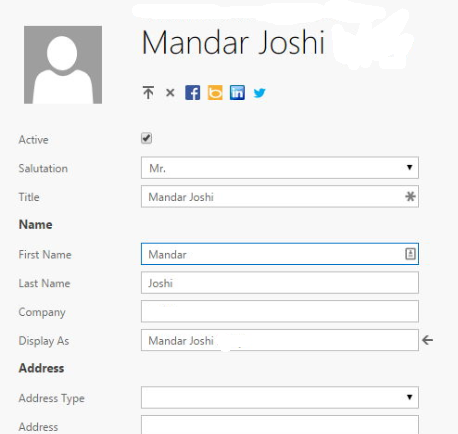 Update the email address field for the same contact in CRM and save. Check the same contact in MDM for the change. Follow below steps for creating an Azure namespace with ACS on your existing Microsoft Azure subscription. Open Microsoft Azure PowerShell. Download if not already installed. Type > Add-AzureAccount to connect to your presubscribed Azure account. 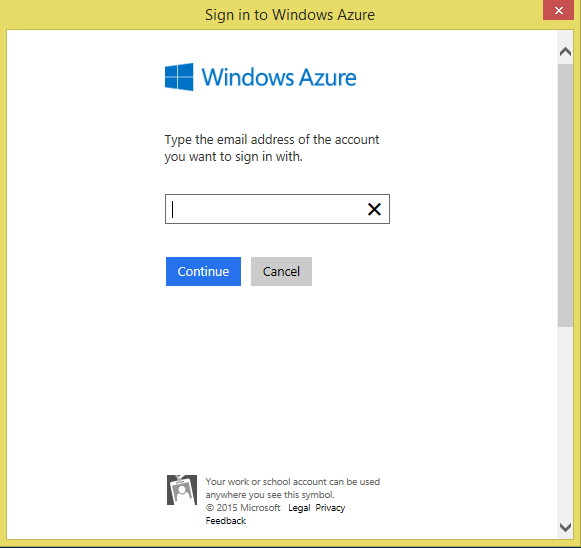 Enter the email address and credentials for your Azure account and wait till the PowerShell connects. Upon prompt provide Namespce name and Type as below. Use this namespace and Default Key for MDM configuration with Azure. Follow below steps for requesting the Integration Services to be deployed for Microsoft Dynamics Marketing instance. In the “Office 365 admin center” click Support in the left navigation panel and select Service Requests. A member of the support team might call you to verify the request details. As soon as the connector service has been deployed, you will see the blue checkmark. There are currently ten languages available for Microsoft Dynamics Marketing. One can also import various languages in Microsoft Dynamics Marketing. To import a language, you can click the import button, and then browse to the import file and finally click import. The language will start to come in. One can also take the languages and export by clicking export. You can also reset any customization you made in any language by clicking the reset customization box.